Looking for an Arrowroot substitute and unsure as to what is a good replacement? Arrowroot is a favorite thickener that can be used in different types of dishes. It is made from the root of the arrowroot plant which is a native of Central America. It is gluten-free and has a neutral flavor. 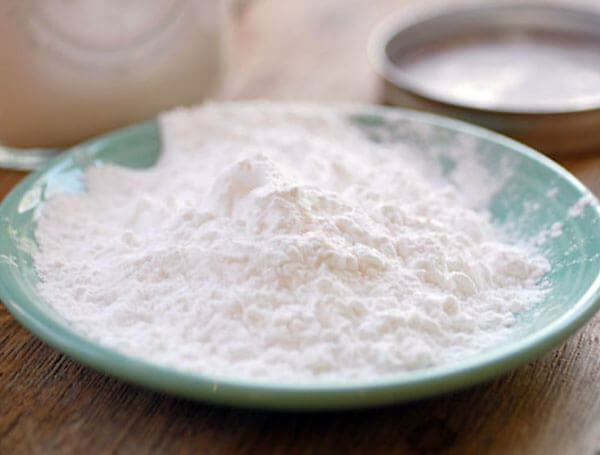 Its neutral flavor makes it ideal as the thickener of choice in many dishes that require that their unique flavors be retained for maximum enjoyment, and this is why Arrowroot is a dynamic thickener used in lots of cuisines. If you can’t lay your hands on arrowroot, but you need it urgently, there are good substitutes for the flour. Below you will find a list of arrowroot replacements. Each has their strengths and weaknesses and generally what you choose to substitute arrowroot with is dependent on what you are cooking. Perhaps, the best substitute for arrowroot is the tapioca starch, which is made from the root of the cassava plant. Tapioca, like arrowroot, is also gluten-free and offers the same smoothness as arrowroot. Tapioca is also flavorless and odorless like arrowroot, and this is why they both make excellent thickeners for a wide variety of dishes. Tapioca will not break down in freezing conditions and dishes which it is added to have a clear and glossy appearance. All you need to do is make tapioca into a slurry using the same quantity of tapioca and liquid. The only downside to tapioca is that it is not stable under acidic conditions, and may lose its thickening properties when combined with acidic solutions. Cornstarch is extracted from the corn kernel and can be used as a substitute for arrowroot because it is tasteless and gluten-free. Despite its thickening abilities, cornstarch gives dishes a dull look instead of the glossy appearance which arrowroot adds to dishes. Also, cornstarch doesn’t do well in acidic dishes. Another concern people have with cornstarch is that it may be made from genetically modified corn. If you are not comfortable with genetically modified foods, you might want to steer clear of cornstarch. To use cornstarch, add water to it to make a slurry which you add as a thickener in your dish. Rice flour is gotten from rice and is also gluten-free like the other arrowroot substitutes preceding it on this list. It is also versatile and can be formed into a slurry by adding water or milk. It can also be used to thicken acidic liquids without breaking down. The downside to it is that rather than give dishes a clear and glossy appearance, it makes them dull and cloudy because it is a grain starch. Rice flour also browns within a short period, which makes it unsuitable for dishes that require long preparation. You can also substitute potato starch for arrowroot, and both can be used in almost the same way. Note that potato starch cannot be used in dishes that will be boiled, as it loses its thickening abilities when subjected to heat. The wheat flour may also be used instead of arrowroot, and it does well in acidic dishes. The disadvantage of wheat flour is that it has a flavor and gives the dish to which it is added a cloudy appearance. Next time you are in a hurry and your supply of arrowroot powder is exhausted, don’t freak out. All you have to do is make a slurry with your tapioca starch, corn starch or rice flour, and you have your thickener. While some of the arrowroot substitutes on this list might not provide the excellent functions of the arrowroot, they will save you the hassle of rushing down to the store and back to get everything set.